Baton Rouge offers carbon offset service to control fuel emissions that contribute to greenhouse gases! GO GREEN!! 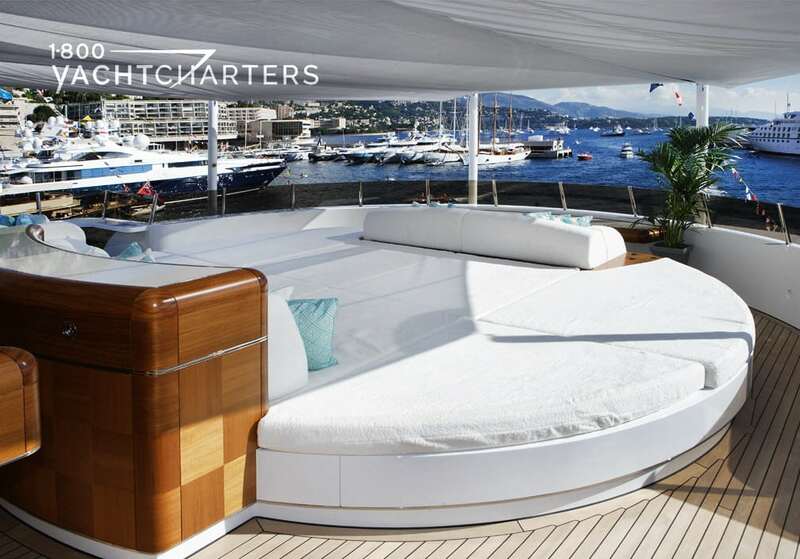 Delivered in September 2010, the Icon motor yacht Baton Rouge is an imposing full displacement superyacht with incredible volume over her six decks. 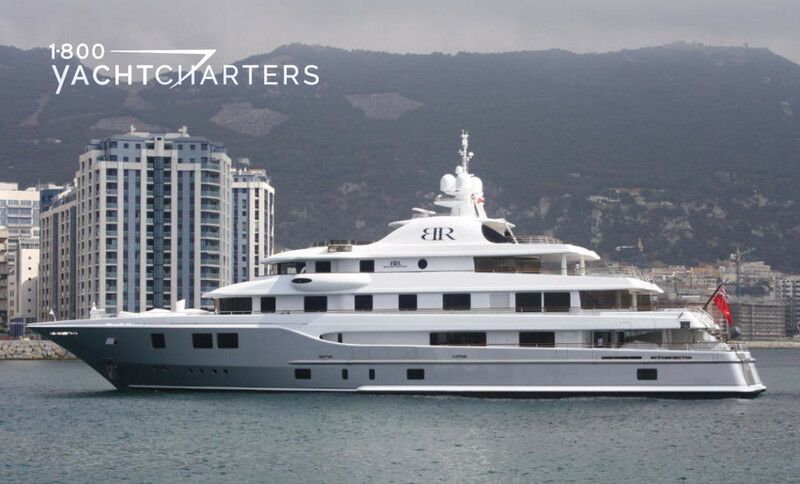 At 1,423 gross tons, motor yacht Baton Rouge has more volume than most other 63 meter luxury yacht charter vessels currently on the water. 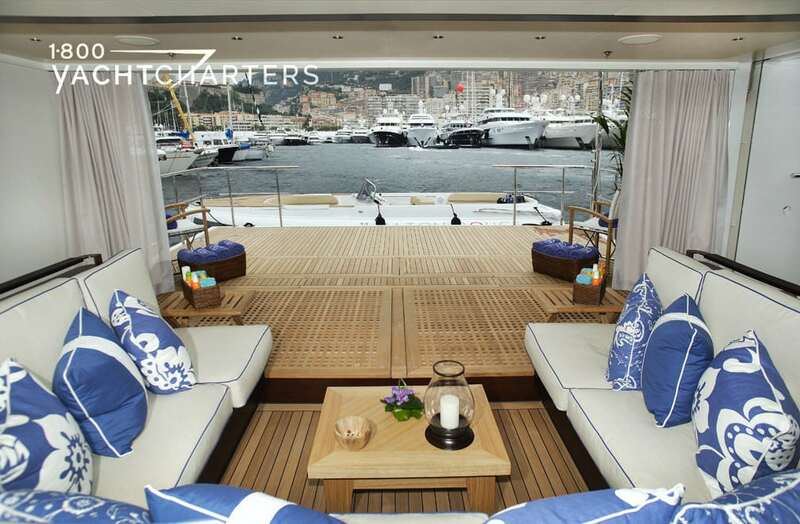 Exterior styling for megayacht Baton Rouge was provided by Tim Heywood, with Redman Whiteley Dixon designing the interior. 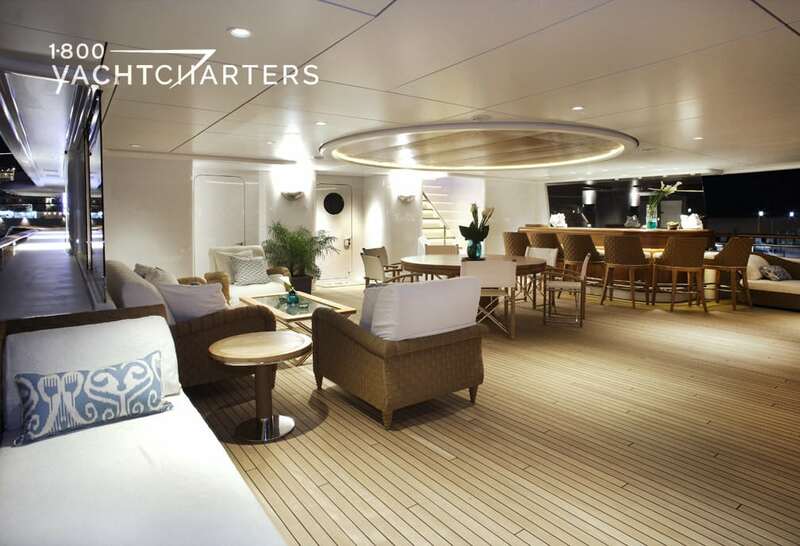 Fully-stabilized and optimized in every respect for luxury living afloat, her extensive interior guest areas include multiple lounges and a choice of dining options, which cohesively encompass both townhouse elegance and beach house chic to suit one’s mood. 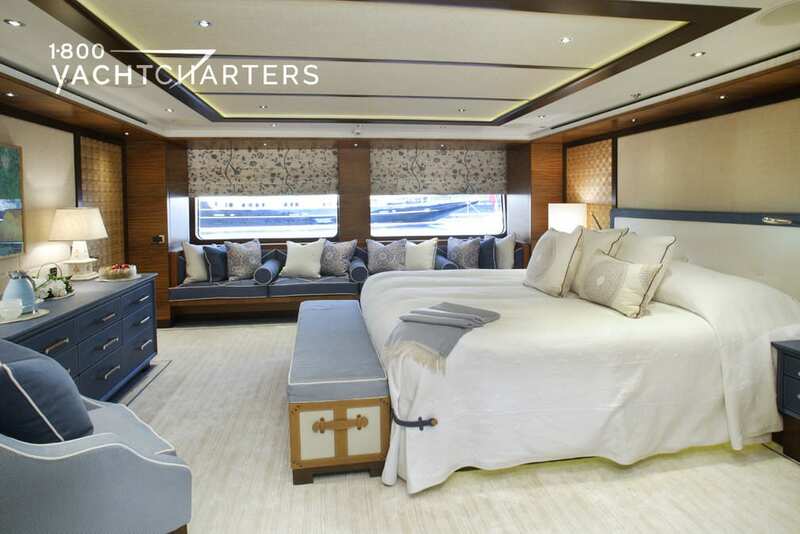 Accommodation for 12 guests in 7 large cabins is configured as a large master suite on the main deck, two VIP cabins on the upper deck, and two doubles and two convertible doubles/twins on the lower deck. 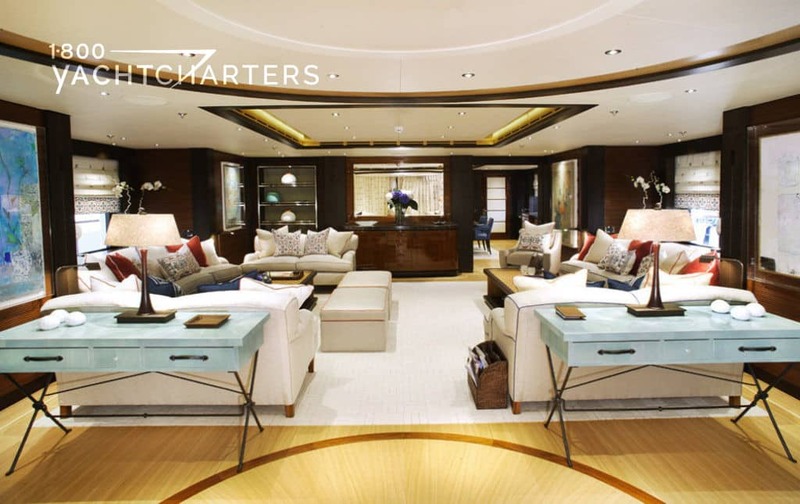 Full of wonderful textures, ranging from beautiful woods, leathers, marbles, nickel and bronze details, to handcrafted furniture and original artwork, the vessel’s eclectic contemporary interior is both serene and stylish. 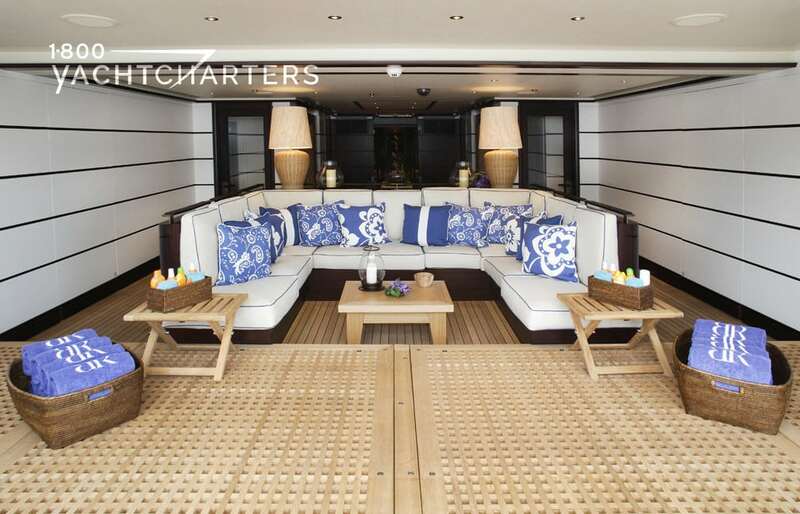 The theme of space continues through to the deck areas which are just as expansive with great outdoor spaces for lounging and dining, a pool with jet stream, a dedicated sundeck (which converts to a party deck) with an enormous circular sunpad, and an inviting beach club lounge at sea level. 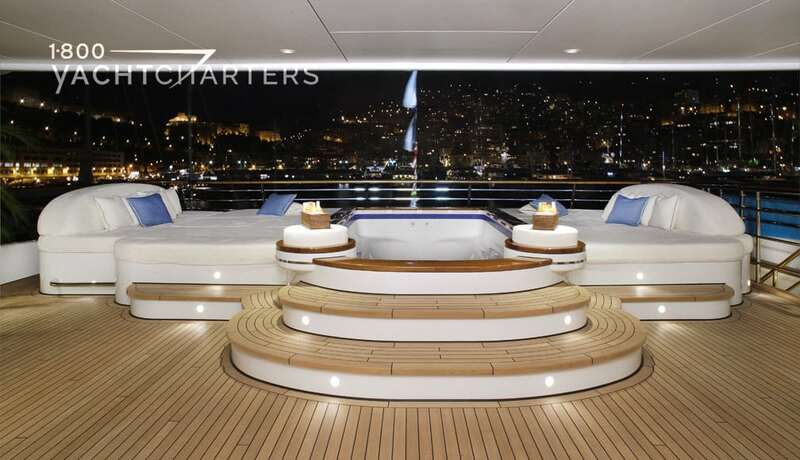 A gym and a very comprehensive inventory of water toys and tenders along with state-of-the-art entertainment and communications systems complete the picture of a yacht, which has been conceived by a highly experienced team to deliver the very ultimate superyacht charter experience.